Salads make a delicious meal. They are fresh tasting and pair easily with many meats especially BBQ. This salad is low carb, low calorie and low fat. Only 1.4g net carbs and 3 Weight Watchers points per serving. Score the skin of the cucumbers with a fork and chop off ends with a sharp knife. Carefully cut cucumbers in half across the middle, then in half lengthways from top to bottom. Use a teaspoon to gently scoop out all seeds. 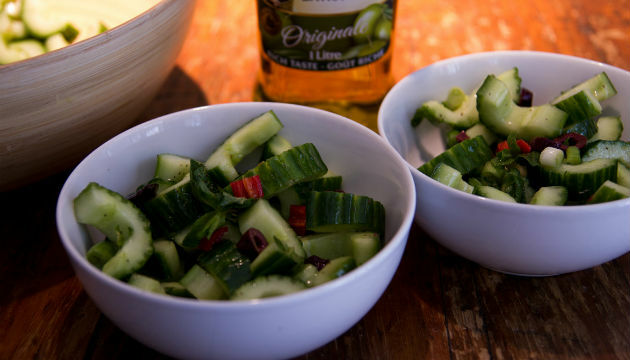 Slice cucumber up into 1cm chunks (like little "u"s) and place in a large bowl along with the olives and spring onions. 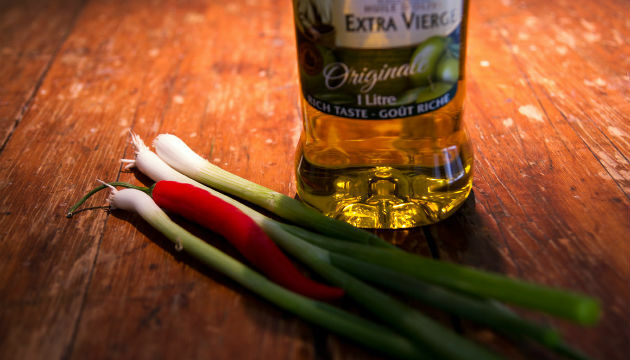 Whisk together the balsamic vinegar and extra virgin olive oil and pour over salad.